Our new TwinBIM™ technology blends the digital and physical worlds. 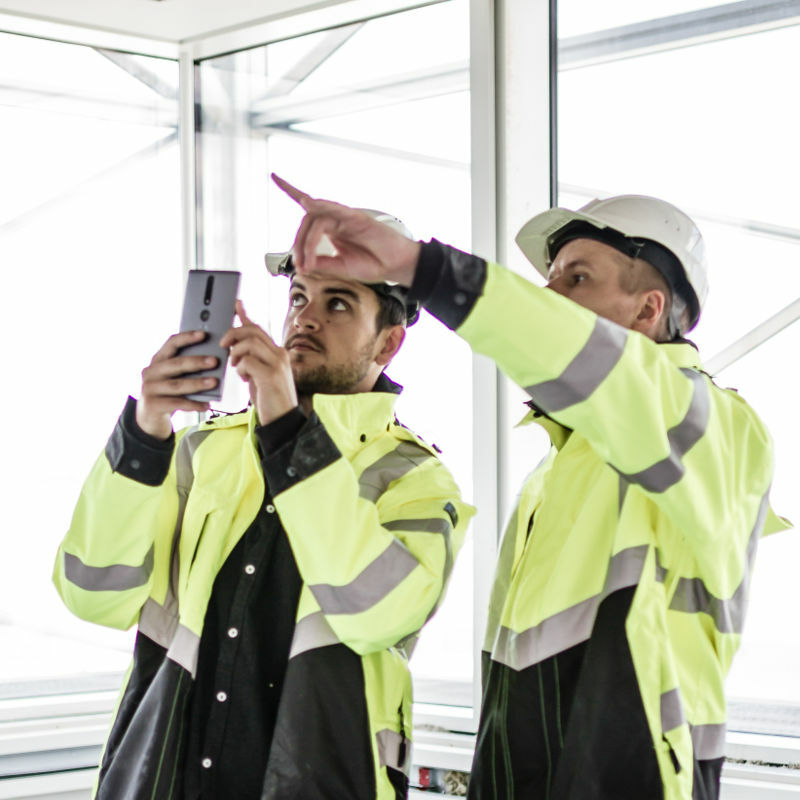 Using your smartphone or tablet, TwinBIM™ simply merges your BIM model into your real-time physical environment, allowing you to see and interact with it. TwinBIM™ is a standard functionality in Dalux Field, our snagging tool for the construction site. And no, it doesn’t cost extra. Why should it? At a fraction of the price compared to other solutions, TwinBIM™ invites to true on-site collaboration. It is very different from Virtual Reality where the user is immersed in a totally different world, as TwinBIM™ invites digital content into your real-time surroundings allowing you and your colleagues to share what you see. TwinBIM™ fits right in your pocket so it is always at hand and never in the way. Construction projects are getting increasingly complex, and with the complexity comes a need for even closer coordination. For more than a decade, BIM has proven to be a great tool for just that. So, why not use BIM on site? 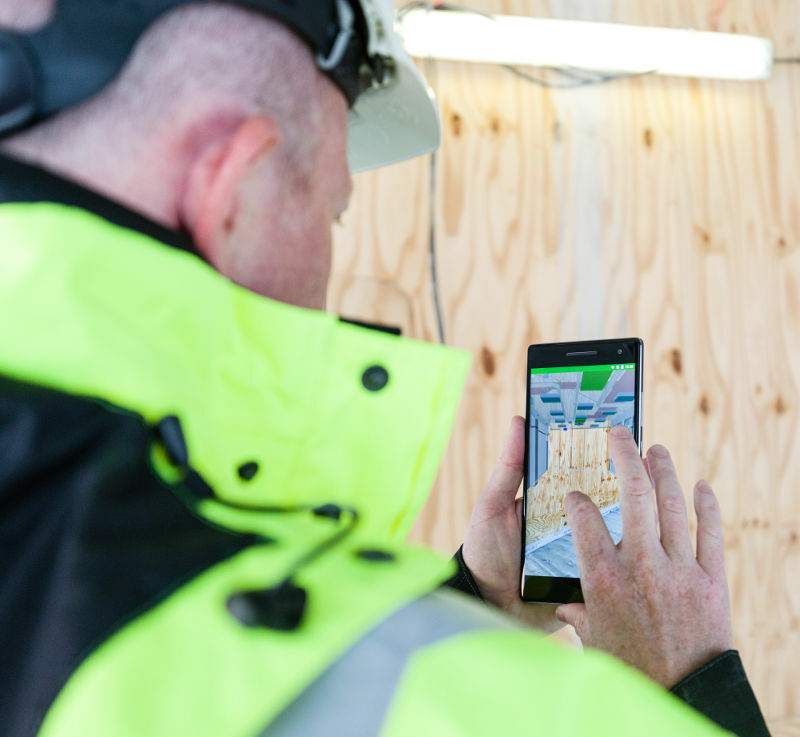 We believe that BIM is for everyone and should work the way you do: on the go. That’s why we built the world’s fastest BIM engine for mobile devices. BIM should work anywhere and anytime. 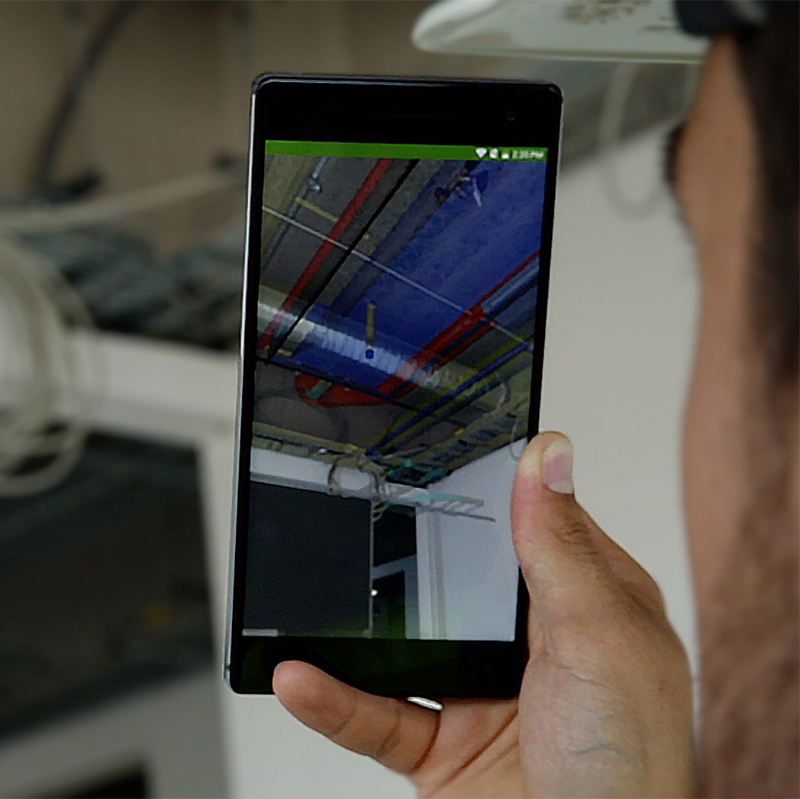 TwinBIM™ is compatible with Google’s ARCore and iOS ARKit and it works by scanning your physical environment and creating a 3D map of your surroundings. That way, TwinBIM™ knows exactly where to put your BIM model, aligning it and anchoring it into the physical world. We believe that digital models are not complete until they have been tested against reality. True digital transformation comes from the field. These mobile phone models feature Google ARCore.